A Squared Entertainment and By Kids For Kids Co. have teamed up with CreditReport.com to launch Warren Buffett's Secret Millionaires Club “Learn and Earn” financial literacy promotion. An expansion of the Secret Millionaires Club animated series that features Warren Buffett mentoring a group of kids through their own business adventures, key aspects of the campaign include: the “Learn and Earn” promotion, which offers educational materials for kids in grades 3 – 6; the “Grow Your Own Business” Challenge — based on Mr. Buffett’s financial lessons — which invites kids to submit ideas for their own entrepreneurial endeavors for the chance to win $5,000 with finalists given the opportunity to present their business ideas to Mr. Buffett himself in his hometown of Omaha; and the premiere of the first Secret Millionaires Club television special on The Hub TV network. Exclusively sponsored by CreditReport.com, the Secret Millionaires Club “Learn and Earn” financial education activities are being offered to kids in more than 100,000 U.S. schools, as well as numerous youth organizations throughout the country, including Jr. Achievement, 4H, Girls Inc, and Big Brothers Big Sisters. The yearlong promotion, managed by kids marketing agency By Kids For Kids, provides fun, educational activities, extending the lessons from the Secret Millionaires Club animated series. All materials have been developed by leading educational publisher Houghton Mifflin Harcourt. To further the lessons and values captured in the Secret Millionaires Club series and the “Learn and Earn” promotion, kids can participate in the “Grow Your Own Business Challenge.” The Challenge is a national, online contest open to kids ages 7 – 16 to show off their entrepreneurial skills by submitting a new business idea. 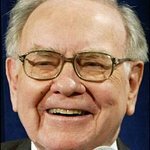 Winners – either individual or team — have an opportunity to win up to $5,000, as well as to present their ideas and have lunch with Mr. Buffett himself in Omaha. The contest kicks off October 20 and ends January 20 — enter at www.smckids.com. “It’s never too early to teach kids about properly managing their money,” said Ken Chaplin, senior vice president of Experian Consumer Direct. "We teach our kids to know the anatomy of a frog; however, we don’t necessarily educate them on the ways to manage a checkbook. The Secret Millionaires Club “Learn and Earn” promotion will help to provide financial information in a fun and engaging way that can benefit kids well into adulthood." Additional outreach partners for the program include: Jumpstart, America’s Promise Alliance, The Public Library Association, The National Education Association, American Camp Association, and the Association of Children’s Museums. For more information, visit www.smckids.com.